I. Charles Feldman, of Shavertown passed away Saturday, April 18, 2015, surrounded by his loving family. Charles was born in Wilkes-Barre on March 29, 1938, the son of the late Samuel Feldman and Rebecca Leibman Feldman. He attended Wyoming Seminary Preparatory School, and graduated from The Williston Academy in Easthampton, Mass., and was a dedicated alumnus to both schools throughout his life. Charles donated to the Annual Fund at Williston for 57 consecutive years! He was also a proud and loyal alumnus of Middlebury College in Vermont, where he took great pleasure in wrestling, debate, the Snow Bowl, and fraternity life as a member of Delta Kappa Epsilon. Jean Harmon Baker, age 100, passed away in Catonsville, MD on April 15, 2015. Born in Yonkers, NY, she attended The Northampton School for Girls and worked for Exxon where she met her late husband, Harold Jay Baker. In addition to her husband, she was preceded in death by her son James, daughter Mary Ellen, 4 brothers, 2 sisters and her parents. Jean is survived by her daughter, Amy Baker Lohr (James) and grandchildren Kristin Jean Lohr and Susannah Baker Lohr. D. Gordon Halstead, of North Branford and formerly of Guilford Connecticut, died Sunday, April 12 at the age of 96 at Yale New Haven Hospital. He was the devoted husband of Virginia Carpenter Halstead. Ginnie and Gordon were married for over 68 years. Born in Cambridge, Massachusetts on August 30, 1918 to Vera and Paul Halstead, Gordon grew up in New Canaan, Connecticut. He attended Williston Academy and then graduated from Phillips Exeter in 1936. 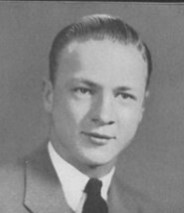 Gordon was a member of the class of 1940 at Harvard College, where he captained the varsity lacrosse team and was a member of the varsity soccer team. He also was a member of the Pi Eta Club, and starred in many of their theatrical and musical productions. Deborah Saybolt Merker, “Debby” of Haverford, PA, age 78, died unexpectedly in an automobile accident in Cleveland, Tennessee on April 10th. Beloved wife of 53 years of James J. Merker and loving Mother of Lisa and (John) Allen and Jenny and (Bart) Anthony. She is survived by grandchildren, Tyler Conway and Caroline Hayes Allen and is the sister of Peter M. Saybolt and Janet S. Bowers. Debby was the daughter of W.D. and Marion Saybolt of Haverford, PA.
Debby attended Baldwin School and graduated from Williston Northampton School; attended Brown University and was a graduate of the University of Pennsylvania. Debby was a stewardess for Eastern Airlines in the 60s. She later joined her husband’s firm, Merker Associates, as a partner. She was an active member of St. Christopher’s Church of Gladwyne and a long time dedicated member of the choir. One of Debby’s great passions was her love for animals, especially her dogs. She also loved art, design and music. She was an avid gardener. Her generosity and kindness were legendary. Margaret Ellen Ross, Esq. 50, of Somerville, CT died after a brief illness on April 9th, 2015. 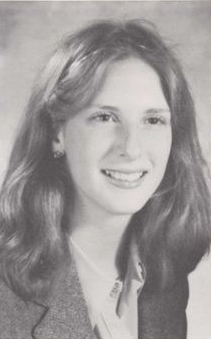 Born in Princeton, NJ, she attended Woodstock Elementary School and The Rectory School in Pomfret, CT, and was a graduate of the Williston Northampton School, Union College, and the Suffolk University Law School. She was a practicing attorney in Boston, MA, a dedicated family court advocate for youth and others in state custody and was well-respected by her peers. 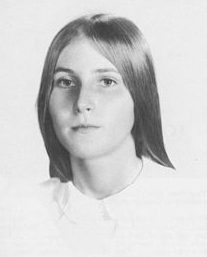 Passionate about human rights, Margaret was an active member of Massachusetts Citizens Against the Death Penalty. Earlier in her career, she was a Program Coordinator at the Harvard School of Public Health. Dr. Elizabeth M. Andrew, 64, a Memphis pediatrician for 23 years, died at home on Monday, April 6th after a courageous battle with cancer. In addition to being a strong advocate for children and adolescents and their health and wellbeing, Beth was an avid gardener, a long-time member of the Memphis Symphony Chorus and an accomplished photographer, knitter and runner. Beth competed in road races across the country, completing numerous half and full marathons, including the Boston Marathon in 2006. James A. Gillchrest, Jr., 88, died peacefully at home, surrounded by his loving family, on Wednesday, April 1, 2015. Born in Thomaston on Nov. 28, 1926, he was the son of James, Sr. and Eva Demuth Gillchrest. He began his education in Thomaston, and later graduated from Williston Academy in Northampton, Mass. Following high school, Jim enlisted in the U.S. Navy, serving during World War II. After being honorably discharged, he attended University of Maine at Orono, earning a Bachelor of Science in 1949. 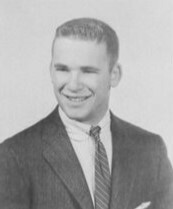 While at UMO, Jim was a member of the Phi Eta Kappa Fraternity.